Situated on Queensland’s aptly named Sunshine Coast, Peregian Beach is a relaxed coastal favourite with those looking for a quaint getaway spot and both plenty of charm and plenty to do. 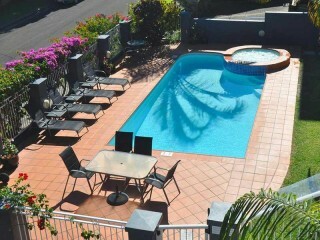 Based near popular holiday destination Noosa, visitors are removed from the hustle and bustle of the more populated areas while enjoying the close proximity for daytrips and outings. Peregian Beach is largely untouched by chain stores and hasn’t been overrun by large-scale developments or fast food franchises. Instead, visitors are welcomed into the area’s sustainable outlook on living and buying, and as a result enjoy the many boutique cafes, restaurants and retailers, as well as regular farmers markets and outdoor events. With moderate to warm temperatures throughout the year, Peregian Beach enjoys a year-long outdoor lifestyle. Guests can walk around the township, enjoy the beachfront public parkland and picnic facilities, or swim safely at the beach under the watchful eye of surf club lifesavers. The grassy parkland is home to a number of monthly markets, and both locals and visitors enjoy live music and other events in the park. Domestic visitors can reach Peregian Beach via the nearby Sunshine Coast Airport, with international visitors accessing the area via the Gold Coast International Airport, or via seasonal flights from New Zealand at Sunshine Coast Airport. With so much international interest in the area, the Federal Government has approved a $181 million concessional loan for a new runway and terminal, allowing a $347 million international airport to be built over the next four years. While Peregian Beach is a relatively small area with a population of under 9,500 people, it welcomes thousands of visitors each year and has a total of 45 accommodation options and food services to cater to local tourism and overnight guests. Accommodation options range from budget stays right through to luxury properties, with holiday parks, motels and hostels available alongside hotels and serviced apartments. With plenty of accommodation available and the updates to the Sunshine Coast Airport underway, suburbs such as Peregian Beach on the Sunshine Coast are expected to see continued tourism and growth in the years to come.